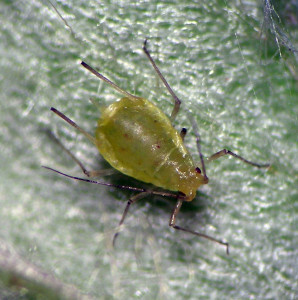 This is one of those aphid genera that seems likely to be a mish mash of species that is probably polyphyletic. Most of the species are Palaearctic, and a few of those have been introduced to North America. An Acyrthosiphon ovipara, straying onto raspberry. It’s probably A. pisum. In general appearance, this genus is mostly just like Macrosiphum except without the apical reticulation on the siphunculi (except wait a minute, some species placed in Macrosiphum usually have no real reticulation either…). Almost certainly some of the species currently placed in Acyrthosiphon are more closely related to species of other genera, and in a natural classification should be placed together with those closely related species. Examples that I know of include A. purshiae and A. macrosiphon (see below). I also know of a couple undescribed species that may be most closely related to described species of Illinoia, but due to their reduced siphuncular reticulation and swelling, would probably be slotted into Acyrthosiphon. There is also at least one rather strange undescribed species on Holodiscus with short and thick siphunculi that might be tossed into Acyrthosiphon, but its closest relatives are not apparent to me. On the other hand, I know of an undescribed species that feeds on the sand dune-specialist legume Psoralidium lanceolatum. 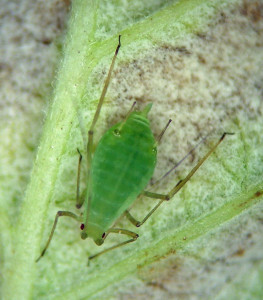 This aphid is almost certainly closely related to other legume-feeding species of the genus (e.g. A. pisum, A. caraganae). Acyrthosiphon, probably an undescribed species, on Psoralidium lanceolatum. It’s funny how some species of animals and plants are uncommon — a hundred reasonable sites or host plants might be visited before a find. Acyrthosiphon lactucae is not one of those. 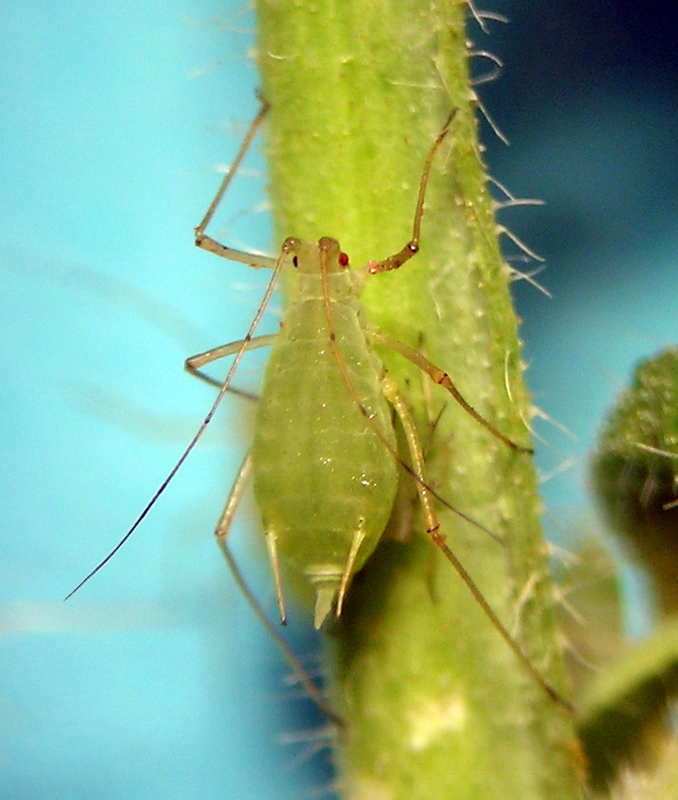 Practically anywhere you can find its host, Lactuca scariola (prickly lettuce), in the West, this aphid is there. Apparently originally from Europe and the Middle East, this species has invaded many corners of North America. Acyrthosiphon lactucae from central Washington — a slightly deformed specimen, but striking nonetheless. This is a species I have studied quite a lot in the field for a few years. It lives on the genus Amelanchier (serviceberry), but with the utmost apparent habitat flexibility. Acyrthosiphon macrosiphum fundatrix from near The Dalles, Oregon. 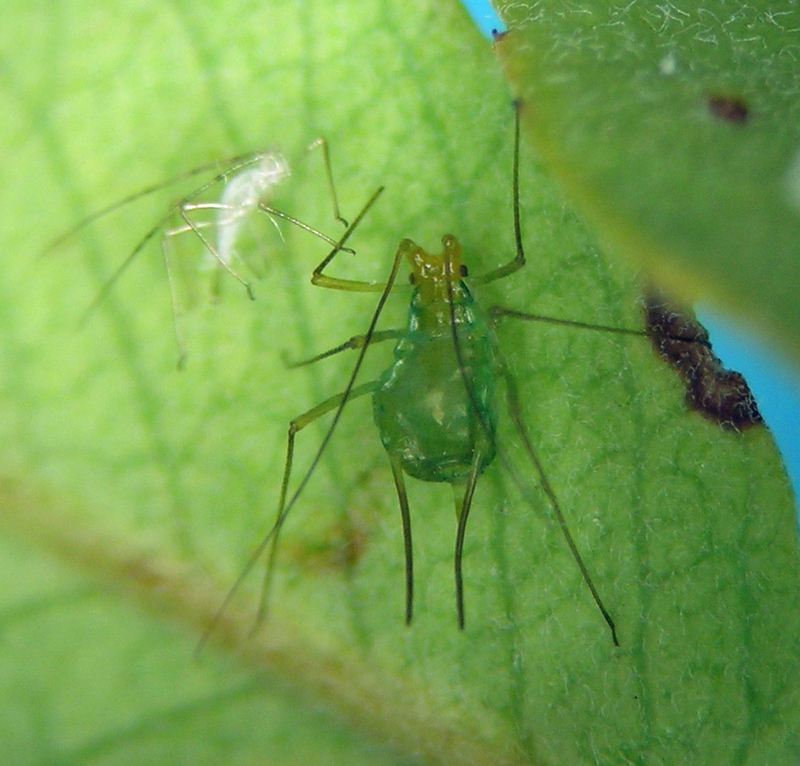 There are species of Amelanchier that live in most mid- to low-elevation habitats in much of western North America, and this aphid is to be found in most of these habitats: moist forests of the Cascade Range and North Idaho, to transitional zones in the Columbia River Gorge, to riparian zones near desert streams in central Washington, to the red-rock deserts of Utah. When I initially found specimens on Amelanchier utahensis in the Utah desert, I suspected it to be a different species due to the strong lateral green stripes on head and thorax. However, much material examined under the scope did not shed light on obvious morphological differences between desert- and forest-inhabiting populations. This is another example where more thorough study might find something interesting, and anyone is welcome to follow up on this idea. I’d love to read what you find. I have collected material from Washington, Oregon, Idaho, Utah, and Colorado. Acyrthosiphon macrosiphum aptera from Amelanchier utahensis in Utah. When desperate to find an aphid of any kind at all in the Snake River’s Hells Canyon, this aphid will turn up if you look hard enough. It has invaded from (apparently) Europe, and can be found on many plants in western North America. Most commonly, it is easy to find on various Geraniaceae. Acyrthosiphon malvae on Erodium in Hells Canyon, Idaho. Yet another common invasive species, A. pisum (a.k.a. 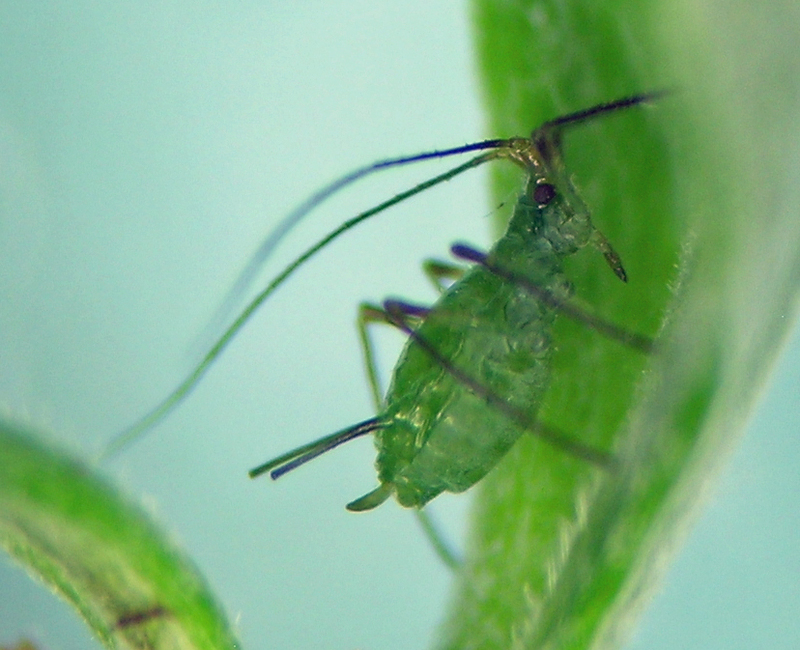 pea aphid) is almost everywhere I look on legumes such as alfalfa and Vicia. 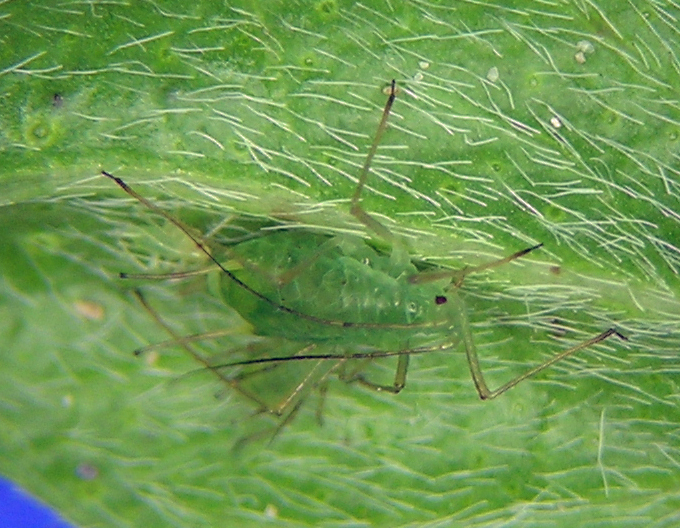 Ironically, considering the common name, I don’t think I have ever seen this aphid on peas. It is one of the invasive species that in North America has penetrated many natural and disturbed habitats. Acyrthosiphon pisum fundatrix on volunteer alfalfa in central Washington. Acyrthosiphon pisum aptera on alfalfa in central Washington. Purshia tridentata, the host of this aphid, is widespread and common in many dry habitats of the interior western North America. 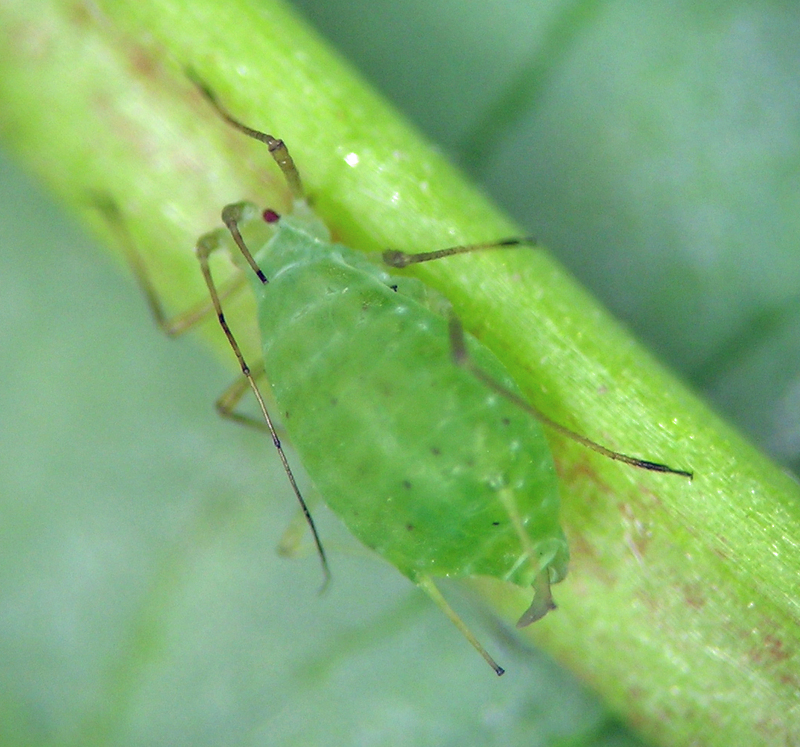 This aphid, however, is not so common, and seems to occur in only certain partially forested habitats where P. tridentata grows — many years of determined sampling on this shrub strongly indicates such. 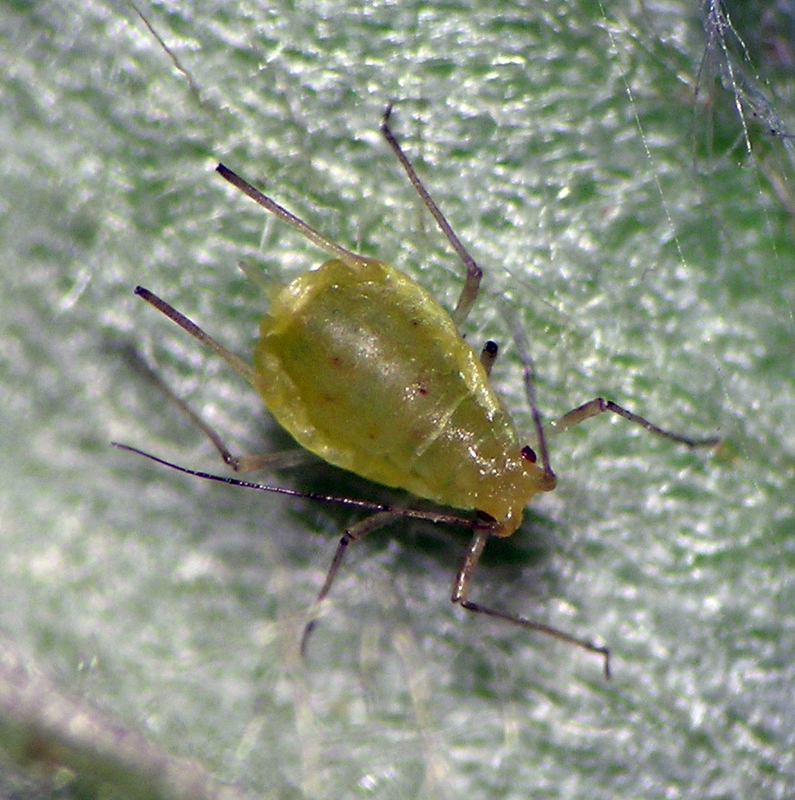 Since moving to southern Oregon, I finally live near this aphid, and hope to study it more carefully. In 2019 I was able to find the sexuales near Lakeview. 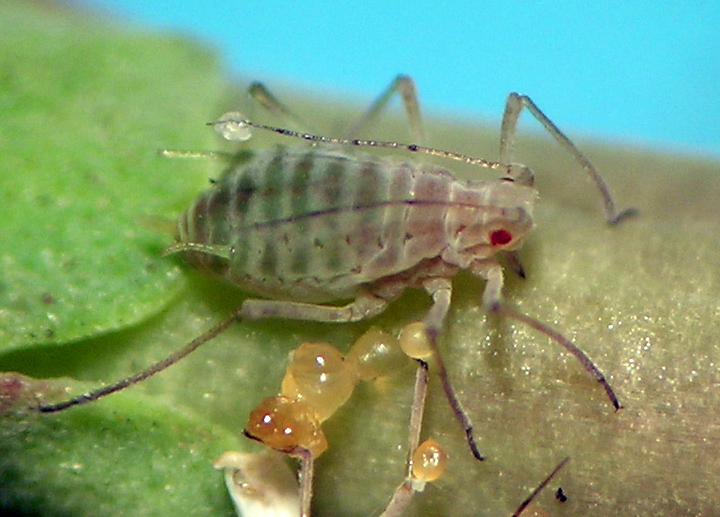 I continue to find this aphid only occasionally on all the Purshia I sample. I’ve learned from my interaction with wildlife experts that P. tridentata gets less palatable to browsing ungulates as it ages. 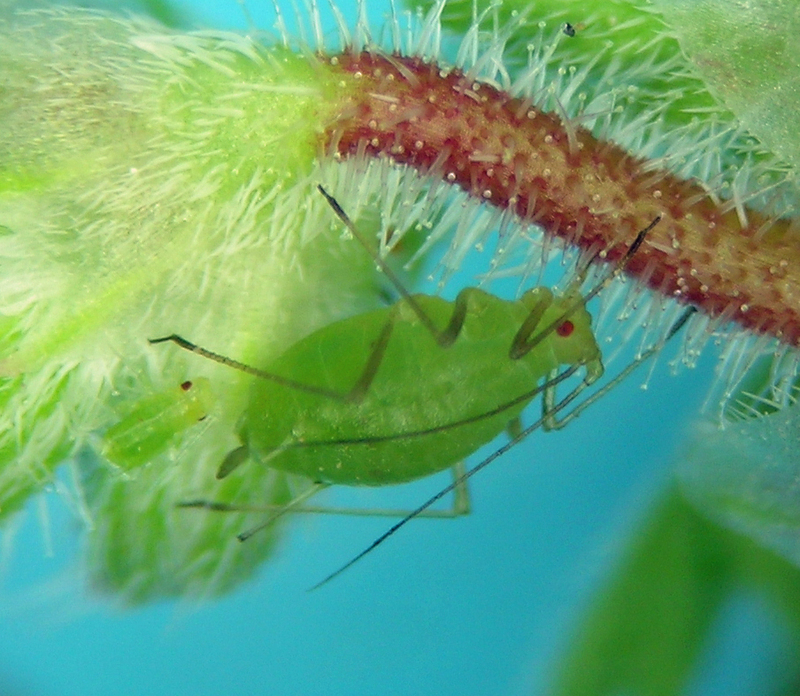 Could something similar be true for aphids as well? Acyrthosiphon purshiae from the Warner Mountains in southern Oregon.